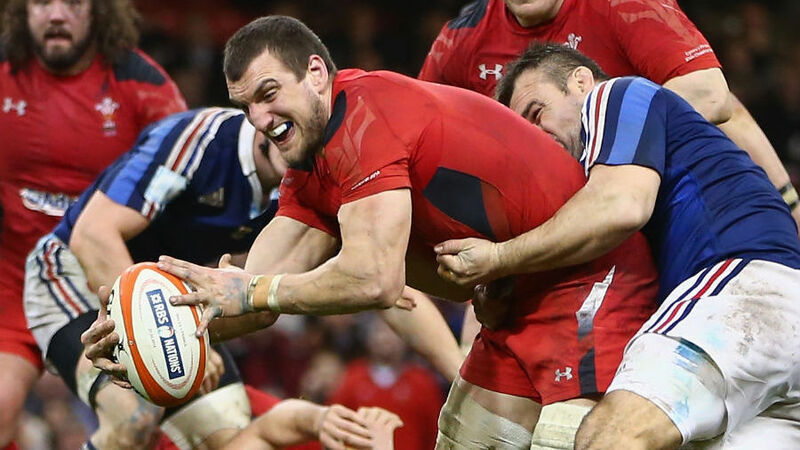 Wales skipper Sam Warburton hopes more players will follow in the footsteps of Dan Lydiate and sign dual contracts. Warburton and Lydiate are the only two players to have confirmed they are on dual-contracts with reports in November suggesting as many as 12 Welsh internationals have been offered these deals which are joint funded by the Welsh Rugby Union and the regions. Dragons coach Lyn Jones said Taulupe Faletau, Hallam Amos and Tyler Morgan have been offered dual contracts but at present, just Warburton and Lydiate have been confirmed holders of these deals. For Warburton, he hopes more players will follow in their footsteps. "It will take time to phase itself in," Warburton said. "It's not the sort of thing you can click your fingers and all the guys will jump back on board. "I know some players might not be so keen. They might want to experience different cultures and go away, but some guys would like the security of having a central contract and staying at home. Hopefully more players will follow." And Warburton says he has no plans to move abroad and is happy with his dual contract where the number of games he plays for his region are capped. "I certainly can't see myself moving elsewhere. I love it here in Wales," Warburton said. "The contract for me has worked out brilliantly, especially from a fitness perspective this year, getting looked after great when it comes to game time, when it comes to medical treatment. "Cardiff Blues and WRU, from a communication point of view, have been excellent at keeping me in the loop as to what's going on, which games you play in, which ones you don't and managing your game time really well, so for me it's worked out perfectly. "Rather than playing every week where you do end up flogging a dead horse it keeps you relatively fresh, so that the games you do play in, you can try and really make an impact in those games and you're probably going to get more out of a player, I think."